Anne Fennessy, who has known Mayor Jenny Durkan for decades, will serve as the city's single point of contact for the third segment of light rail. Her husband is one of Durkan's deputies. Anne Fennessy, part of the political team to rescue beleaguered Sound Transit back in the early 2000s, has been hired by Mayor Jenny Durkan in a four-year $720,000 consulting contract to represent Seattle, as local politicians hash out the multibillion dollar light-rail alignment for future Ballard, downtown and West Seattle corridors. Fennessy will work under a sole-source, no-bid agreement signed with the mayor’s office. Four other candidates, all local, were interviewed, a mayor’s spokesman said. Durkan and Fennessy have known each other since the 1990s when both worked for then-Gov. Mike Lowry. Fennessy is married to David Moseley, one of Durkan’s deputy mayors and the former head of Washington State Ferries. At present, the city and giant agency are slogging through a five-step process to decide where to put train tracks through neighborhoods in the ST3 plan voters passed two years ago. The Seattle corridors, estimated at $6 billion in 2014 dollars, include a second downtown subway next to Westlake Station, the toughest engineering feat in the three-county program. Durkan has publicly suggested that at least $1 billion more must be raised to satisfy local requests, including a potential tunnel added in West Seattle. “The mayor knows how important this role is, and discussed its importance with Sound Transit leadership,” Durkan spokesman Mark Prentice said. The Sound Transit contract designates Fennessy as a “single point of contact” between the city and the giant transit agency, until Dec. 1, 2022. That role is supposed to help accelerate decision-making, to include the possible nomination of a preferred route in April by the 18-member regional transit board. “Anyone who has the knowledge Anne Fennessy has will be an asset for both the city and the project,” said Sound Transit spokeswoman Kimberly Reason. Her $720,000 will be paid by Sound Transit — which routinely pays millions to reimburse Seattle and suburban cities for environmental, right of way and land-use planning related to new train stations. Her formal scope of work appears largely nonpolitical, requiring Fennessy to ride herd over myriad city work teams and report frequently to transit executives. 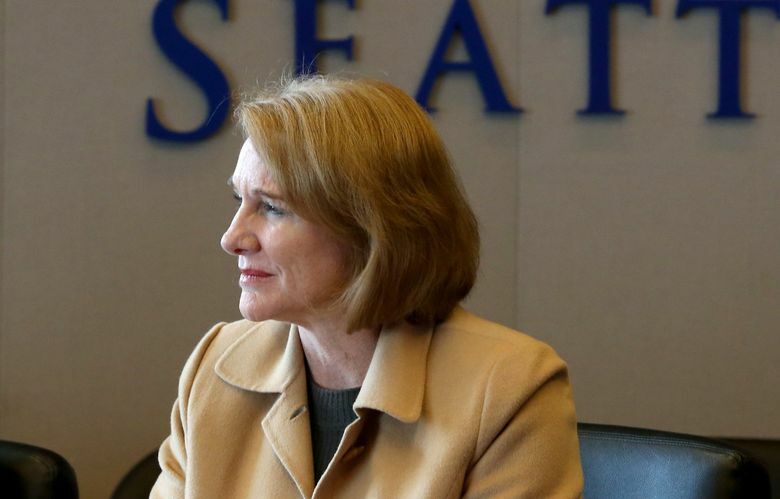 Fennessy was hired this spring by Durkan to lead a $30,000 review of the city’s First Avenue streetcar extension, which Durkan suspended in March amid cost overruns. The mayor still hasn’t announced a strategy to build the proposed tracks, stations and trains, now thought to total $252 million. Fennessy also led a $34,000 review of the Seattle Department of Transportation, now on its second interim director of 2018. In one instance, she showed inclination to keep cards close to the vest — telling a staffer not to provide streetcar information to a researcher at Florida State University. “No nothing about this. We have to be careful who reaches out,” Fennessy wrote in an email released under an open-records request. Her firm, Cocker Fennessy, has won four Sound Transit contracts totaling $409,308 to advise the agency since 2010. No such work is underway, and would be banned during her Seattle contract, transit officials say. Cocker Fennessy’s website boasts at least 23 clients, mostly public agencies. In 2006-07, it carried out a $500,000 contract to help Sound Transit and the state assemble a roads-and-transit package. The ST3 contract’s existence, signed Nov. 22, was first reported by political writer Erica C. Barnett. Deputy Mayor Shefali Ranganathan, a former Transportation Choices Coalition director who campaigned for ST3 two years ago, appears in the Fennessy contract as the mayor’s designee to handle monthly billings. Prentice said the deputy mayors have checked with the city’s ethics department about avoiding conflicts of interest. For example, Moseley is barred from participating in land-use planning that Fennessy might oversee, said Prentice. Long ago, Sound Transit’s board relied on the firm after underestimating the cost to build Seattle light rail by more than $1 billion. Cocker Fennessy participated in several meetings and wrote documents in 2001, about how to help the agency regain support. Project critic Emory Bundy, who obtained public records at the time, disparaged the situation then as elected officials being led by public-relations people. The transit board ultimately chose to build the simplest segment first, through Rainier Valley to Tukwila — so voters would see progress and support future phases under the Ship Canal to the University of Washington and beyond, which is what happened. Seattle Times reporter David Gutman contributed to this story.